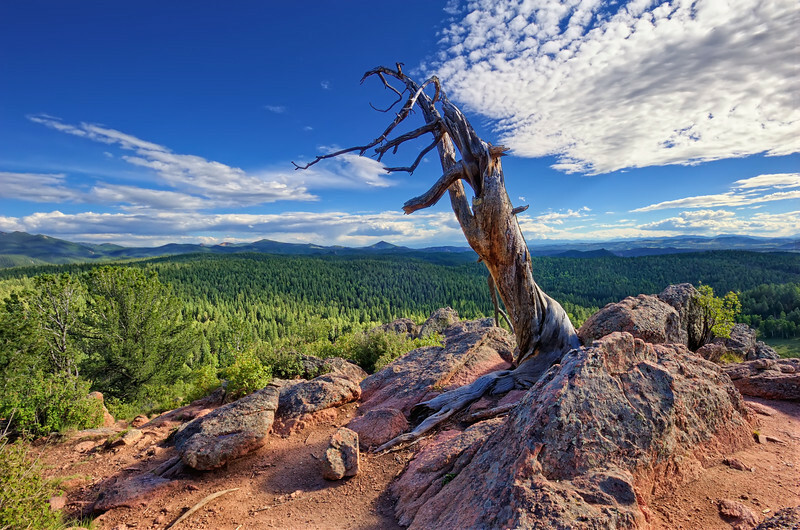 An ancient pine adorns a lookout point at Mueller State Park in Teller County, CO under the sort of perfect light that follows a late afternoon thunderstorm. This is the area I was in last week for work, expect a few more from this gorgeous and fascinating area! Shot Notes: Hand-blended three exposures and blended that result with an Enfused 7 NEF fusion and Photomatix HDR from 7 NEF to what you see here. It's always an adventure attempting hopefully realistic blending these sort of images!